What is Podfading? Why Should You Care? How To Avoid It? -For years podcasting usage ... See More stats have shown that a large percentage of new podcasts do what’s called Podfade after about 7 episodes. This term means slowing down in publishing new episodes to your feed. This is a very common issue for all podcasters, even those who have been podcasting for a long-time. -Full-Time job not allowing you time to produce your show. -Too much post recording editing and publishing work.. Causes burnout! Why Should You Care About Podfading? How To Restart a Podfaded Show? -If you must, then change your artwork and maybe event the name of the show. -Then get planning for what it is you are going to do different that will not lead to podfading this time. Francesco, You are right about Live insertions, did not cover that. It will be an interesting topic for a future episode. I think seven #tags would be good. Comedy, parody, music, spoof, skits and add humor, funny. I would want control over ad insertion points. There is a rumor that Google is going to buy SoundCloud . . . wonder what changes that is going to bring. This is great information. I am at 160 episodes for my podcast and I really know this is something that is my #1 hobby. Thanks for this episode. Came across this just as I'm going through the fade .. 150 shows in... I had a dead end job and the podcast was my lifeline , my creative life saver.. it was going great .. then I landed a great job and lost focus.. Facebook live didn't help .. 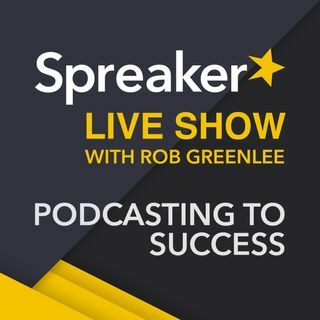 I dabbled in that and got massive results but that was short lived and ended up alienating my loyal podcast listeners ..
Great tips Rob, thanks. I'm 63 episodes in and I'm still learning. My stats are still pretty low. I'm still trying to figure out how to expand my reach. I'm feeling the fade a bit, but I'm pushing through! I hope that by continuing on consistently, it'll pass since I still enjoy the process and posting. Thank you! Would love to hear Francesco! Our longest break out of necessity was two and a half weeks (recently). We kept our listeners advised where they follow us on social media that we were coming back and yes, new series title and added chapters, which we gave them to look forward. Test show(s) are helpful. Set them to private and listen back. You do not want to get too far ahead because news changes. Thanks for listening and getting through some delays this week.